An Asthma Management Certified Facilitator is a community member, health professional or health educator who likes working with children. As an asthma management facilitator, you work with American Lung Association in Hawaiʻi staff to coordinate and deliver our asthma management programs--Asthma Basics, Open Airways For Schools, Kickin’ Asthma--in schools and other community venues. Asthma Basics: A 60-min workshop about the basics of asthma is offered to parents and family caregivers, childcare providers and adult professionals interested in asthma. 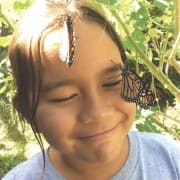 Open Airways for Schools: Six 40-minute group sessions with keiki aged 8-11 so they can learn how to recognize and manage their personal asthma triggers, warning signs and symptoms in a fun and interactive way. Kickin’ Asthma: Four 45-minute interactive group sessions especially tailored to help older students, aged 11-16, develop asthma self-management skills.